Aleph IT offers a wide range of website development and application support for any type of business and organization, one of this is Web design support East Perth. Once the website goes live online, it’s important to keep it up to date and connected with the latest innovation to ensure you make the most out of your web traffic. The moment that potential prospects are visiting your site, you need to analyse their activities and behaviour on your pages. From this analysis, you can generate idea of which pages are most visited and pages that need improvements. Carrying this task effectively will help propel your business to improve your conversion rates of your call-to actions. This include visitors calling and purchasing products, and clients online form submissions. Web Design Support East Perth also plays an important part to achieve this success. 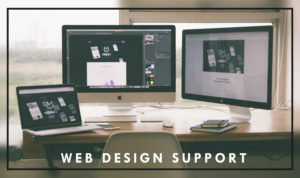 What is Web Design Support? This is a service we offer whereby we supply regular code and updates just to ensure that your website will remain appealing, interesting and engaging into your web traffic. Your website is like a house that needs maintenance and beautification. When things break, you need to fix it, when it gets old you need to upgrade in order to be up-to-date. In this modern era web design support services thrive with the promise of helping business to promote their brand or market their products and services. As there are millions of users constantly engaging the internet, your website will need to capture these users because they might be your prospective customers. Prior in choosing products or services, your prospective clients will probably view your site first and then compare it with other websites who also offer the same niche as yours. In East Perth where businesses continue to prosper it is necessary to hire a company with proven experience and professional in web design. Our web designer East Perth hold the knowledge and experts to create a functional and effective website. Something that you want to have for your customers to see and understand clearly what you are trying to showcase. The overall design and updates of your website is crucial; it’s a door for their final decision whether to buy or not. Therefore, you only have seconds to show them of whether to continue browsing or not. Your website serves as the medium of communication between your brand and your potential customers. Hence, by failing to communicate will lead to loss of customers. Hiring a company that offers web design support in East Perth is also crucial. With lots of agencies out there you might get confuse of which of them offer the best service. Aleph IT is one stop solution for all your IT support, website and application development services. We are proud to say that we are over 20 years in the industry. Whatever you need – support services, consultation, software and application development, etc., we can handle it with ease. We have a team of expert web designer, technician, engineer, developer and web application designer East Perth to cater all your IT and website services and maintenance. Web design support is just one of our expertise. There’s a whole lot more that Aleph IT offers to help your business website successful in online marketing. Search no further! Contact us @ +61 8 6555 6664 to learn more about our web design support and how our team will help you manage your business website run successfully. This entry was posted in Uncategorized and tagged affordable web design, Aleph IT, best responsive web design, web design support.